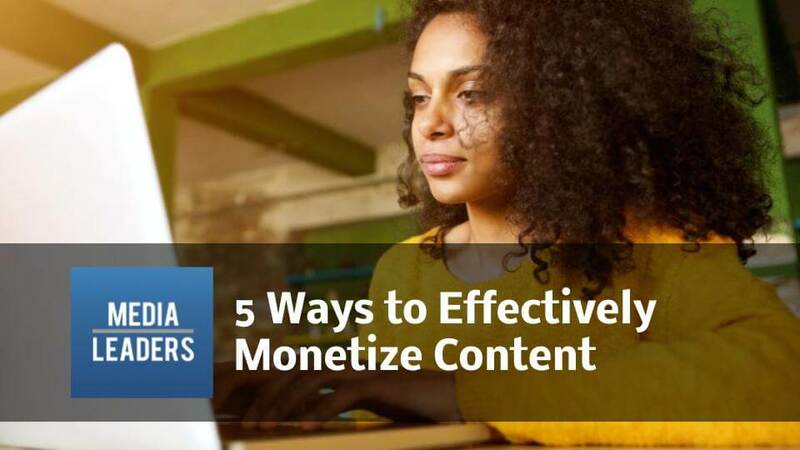 This post is an excerpt from the 5 ways to monetize content breakout session at the Authentic Marketing Conference in Los Angeles led by Josh Hoffman, Founder of We are Yarn. The conference was a rich environment for brands and influencers to openly discuss tactics for authentically building a strong following. All of the content from the Authentic Marketing Conference is available as a Digital Marketing Bootcamp. Content marketing has been around for hundreds of years. Presently, it has become more of a buzzword employed by social media. We are now not competing with just other brands or competitors or other people in the industry, but we are literally competing with every other person. You can go on Facebook right now and you will see something from your mom, something from Toyota, and something from your best friend...in that order. So the rules of the game have completely changed. By 2020, the amount of content on the Internet is going to increase by 500%. Relatable: The way that you relate to your brand is not the way that consumers relate to your brand. We love our products, we love our services, and we know the intricacies of them. When you know these details, you appreciate the brand more, but the average person doesn’t know that and they don’t really care. They care about what your products or services represent. There is a great quote by Jay Baer, where he says, “If your stories and your content are all about your products, then that isn’t a story, it’s a brochure.” Make the story bigger. Relevant: Ask yourself if your content is really relevant to the people who you are trying to reach. Entertaining: In 2008, people were consuming digital media about 30 minutes to an hour a day. In 2012 it was three hours per day. Today it’s six hours per day. So you went from 30 minutes to an hour to six hours. Your content has to be entertaining because that is what people want. The definition of a media company is that their product is their content. The value of their content is directly correlated to the size of their audience. The bigger your audience is, the more your content is worth. That is why the New York Times can charge much more than Boise Chronicle. You need a big audience and big engagement for the highest monetization. When you grow big enough, brands will come to you to actually create content with you. The actual ad fits the format of the channel or platform. It’s not off to the side as a banner or a pop-up. If it’s on the NYTimes.com, it’s an article. If it’s on YouTube, it’s not the pre-roll ad, it’s the video. When you grow big enough, brands will come to you to actually create content with you. Work with non-competing businesses to share in the production and potentially the distribution of content. Work with non-competing businesses to share in the production and potentially the distribution of content. A podcast would be an example of this where you could launch a podcast and then take on the role as the host, but at the same time you are going to work with non-competing businesses who want to reach the audience that you have and are willing to split the cost of producing and distributing that content. Traditional advertising is still very much alive. Native advertising is becoming more and more prevalent, but there are always going to be brands that will say, “I don’t have the budget for that, give me the banner ad.” Traditional advertising is still very much alive. Affiliate marketing is about creating relationships with people and brands. If you have a built-in audience that trusts you, you can say “Hey, go to Jenni Smith who has the premiere online cooking course that you should take” and then you earn a percentage of the sales that Jenni Smith receives from your affiliate link. This is contingent on the size of your audience. Facebook and YouTube provide revenue sharing opportunities to content creators. Facebook and YouTube provide revenue sharing opportunities to content creators. Facebook is newer, but if you are using instant articles it is a lot more favorable. You can sell your own ads in instant articles or you can use their audience network. YouTube gives creators $1-$2 approximately (based on your industry) per 1,000 views. People buy New York Times and other premium memberships to access exclusive content online. Take a lesson from the Times and treat your content as a product in and of itself.